It’s pretty surreal to type out or even say that tomorrow is our 5th GUBday! Yes!!! We have been blogging for 5 years and the journey has been so amazing but it wouldn’t have happened with out the support of you our GUBfriends + our GUBreaders!!! So how about a little disney giveaway to start celebrating? We have come such a long way since Dec 9th 2009. 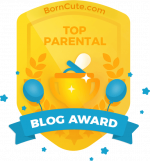 When I started this blog to find other amazing Blackxican families and just others who could relate to the journey and adventure of being a parent of bicultural/multicultural kiddos. Now we share more than just culture and parenting but everyday life, GUBlife! Blogging has been magical and to continue with the magic of celebration we’d love to give back to you, our readers with a Disney Giveaway. As a token of always showing us support and being open to sharing feedback and moments in your family’s lives with us, we’d love a chance for you to win one of our PERSONAL GUBday GIVEAWAYS. Today we kick off #HappyGUBday with a $25 Disney Gift Card! Family and making memories , especially now that my husband and I are first time parents to a boy. Family life is my favorite part of this time. Sometimes it is difficult to see family for the activities of each, but at this time we do an extra effort to see us and show us the affection we have for. My favorite part is seeing how excited my kids get about the gifts, the tree, and the sweets! Oh I love all the decorating and get ready! So much fun! We love to go and look at Christmas lights…..go drive around almost every night! He loves it! My favorite thing is being able to spend a lot of time with family, many that I don’t get to see that often. My favorite part of the christmas holidays is the christmas music and the christmas lights. I enjoy decorating the Christmas tree with the help of my kids. My favorite part of the holiday is seeing my daughter believe in the “magic” of the holidays, She loves seeing Santa and going to look at Christmas lights. My favorite is all the family time we spend together. I like baking cookies and all the get togethers. I love seeing the excitement on my kiddos faces…nothing like the magic of the holidays as seen through the eyes of a child. I love getting together with the family. I love driving around and looking at all the beautiful lights and decorations. I love the extra time we have together as a family! I love baking. I’m excited to start making cookies with my daughter.